An article from Venture Beat. Crowdtilt is one of 39 companies presenting at Y Combinator’s Demo Day Spring 2012 event. Technology to allow smartphones to scan their users’ fingerprints through their screens as an identity check has been patented by Sony. It describes a range of ways to build “light-transmissive displays” to allow sensors to look out of the screens. It says an unidentified material would obscure the sensors so users would only see graphics telling them where to place their fingers. Sony has not given any indication of when it might introduce the feature. The innovation has been submitted to the US Patent and Trademark Office and was flagged up by the websiteUnwired View. It would not be the first time a smartphone has offered a fingerprint lock – Motorola Mobility launched the Atrix last year – a handset with a biometric scanner fitted to its back. However, Sony’s application suggests that allowing the scan to be carried out via the front of the phone would simplify the process. “[It would] allow even a user who is not familiar with the fingerprint authentication to readily execute an input manipulation for the fingerprint authentication,” the patent document says. Many technology analysts predict that mobile phones fitted with near field communication (NFC) technology will be used in place of credit cards to buy goods in the near future. To feel safe with the idea consumers may demand that their phone’s security checks are more robust than a four-digit pin code. “Making transactions easy for consumers is something that is a goal for retailers and technology providers,” Brian Blau, research director at Gartner told the BBC. It says the handsets could have bigger displays without increasing their overall size since they would not have to leave space for a camera at the top of the phone. It adds that the move would also help to prevent the “uneasy feeling” created at present when users do not maintain “eye contact” because they are looking at each other images on their screens rather than directly into the phones’ cameras. Sony is not alone in seeking a way to solve this problem. 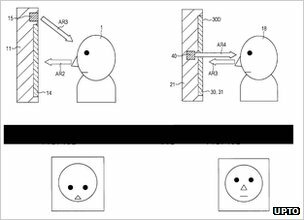 Apple filed for a patent four years ago to place a camera sensor in the centre of a computer screen so that users could naturally video conference with each other and take self-portrait pictures of themselves while looking at own their faces. It has yet to put the innovation to use. You’re browsing the Internet on your iPhone or iPad when you’re suddenly prompted for some personal information. But you’re no dummy: Before you enter it, you check the URL bar to confirm that you really are on a trusted site. When you’re sure, you type in the information. Careful as you were, you still may have handed sensitive data to a bad guy. How is that possible when you’re absolutely certain that you’re on a trustworthy website? Because right now you can’t trust the URL bar on your iOS device’s mobile Safari browser, thanks to a security exploit. 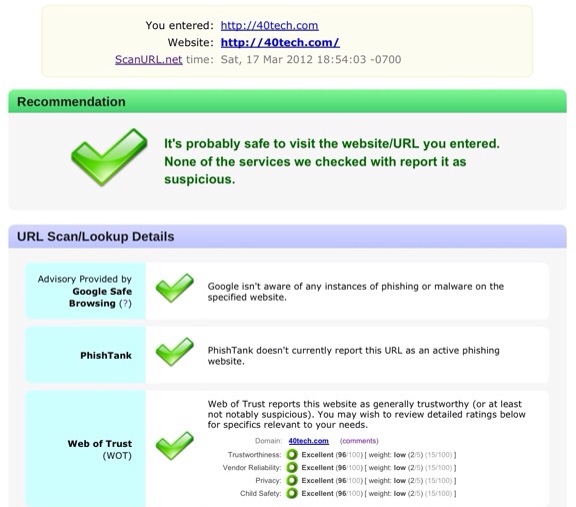 This can be exploited to potentially trick users into supplying sensitive information to a malicious website, because information displayed in the address bar can be constructed in a certain way, which may lead users to believe that they’re visiting another website than the displayed website. There’s no fix for the issue right now, but it shouldn’t take long for Apple to patch the exploit. In the meantime, you should be careful about which links you follow. Exactly How Much Phone Data Do I Need? If you have a smartphone, you have to buy a data plan as well, which could add around $360 a year or more to your bill. And recently, wireless carriers have implemented new pricing, data limits and “throttling” (cutting your data to a trickle if you use too much) that can make figuring out plans downright baffling. You could be one of those people using a smartphone as you did your old phone— for calling and texting. In that case, you might need only a minimal plan. But discovering mobile movies, streaming music, apps and video chat is like opening a Pandora’s box (in fact, Pandora is one of the services you might get hooked on). Your data appetite could quickly grow. If you like to email, download a few photos and post to Facebook, for example, you can possibly get by on a gigabyte per month, but if you want to stream music and watch the occasional TV show, you may need around 3 gigabytes. And if you’re a big video viewer, you’re looking at 5 gigabytes or more. To get a sense of what you may want to do and how much data you’ll need, please see our handy chart.